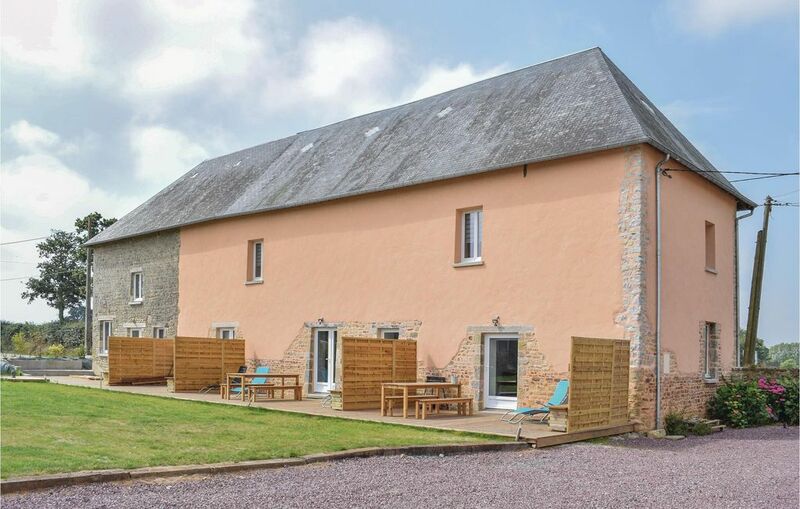 Here is a beautiful holiday home for an unforgettable stay in Normandy! Modern and comfortable, it is located 11km away from Carentan and 26km from Utah Beach, ideal for history buffs who have come to discover the major sites of the Second World War. The bright and well-equipped interior invites you to relax and you will love to relax on the wooden terrace while admiring the peaceful Norman countryside. Located on a farm, the ground is shared with other cottages. Beautiful discoveries await you in the surrounding area, starting with Manoir de Donville and the Bloody Gulch Memorial Museum. In Carentan, do not miss the museums dedicated to the battles of the WWII, as well as the Eglise Notre-Dame and the Medieval City. If you nedd bucolic walks to relax, the Parc Naturel Regional du Cotentin will be your favorite destination! Quiet walk or bike, you can choose from 50 circuits to enjoy the good air of Normandy. Golfers can spend beautiful days on the course located 14km from this charming vacation rental that has everything you need to make your stay memorable! Ensemble neuf, fonctionnelle, très bon accueil. Possibilité de louer la plus grande maison (10 Personnes) et de "connecter" les deux résidences. A 10 minutes de Carentan, au calme avec un jaccuzzi tout neuf.